Texas House Speaker Joe Straus has appointed Representatives Drew Darby (San Angelo), John Otto (Dayton), and John Zerwas (Simonton) to serve on the Legislative Budget Board until the Legislature convenes. They are replacing Representatives Dan Branch (Dallas), Harvey Hilderbran (Kerrville), and Jim Pitts (Waxahachie), who are not returning for the next legislative session. Admiral William H. McRaven, commander of the U.S. Special Operations Command, and Richard Fisher, president and CEO of the Federal Reserve Bank of Dallas, have been named as the two remaining candidates for Chancellor of the University of Texas System. Happy National Corn Fritters Day! What’s a corn fritter, you ask? A tasty bite-sized snack of fried or baked corn batter. Not your style of food? Don’t fret, National Peach Ice Cream Day is tomorrow, July 17th. 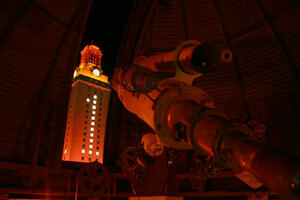 The University of Texas-Austin is home to two telescopes, a 16-inch one housed in Robert Lee Moore Hall and a 9-inch one housed in Painter Hall. 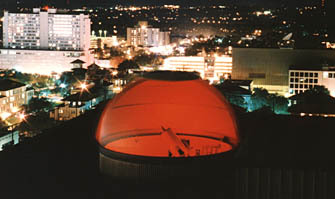 Public viewing is available throughout the year, schedule depending upon the season. For specifics on when stargazing is available, click here.